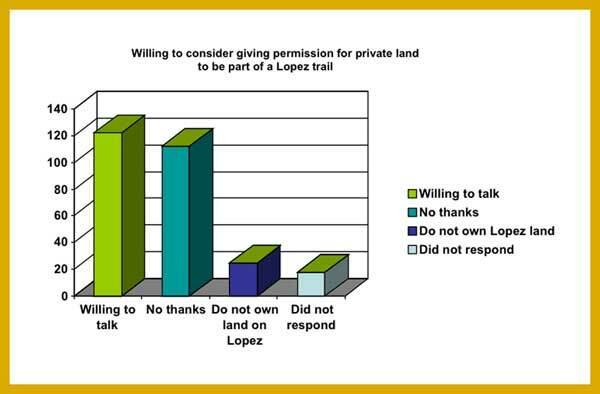 To develop a long-range plan for a trails network that matches the needs and desires of the Lopez community, LCTN asked Lopez residents and visitors of all ages to describe how they currently use pathways, trails and roadways for recreation and non-motorized transportation, and what “trails” they want in the future. Please click on an image to see it’s enlarged version. You can all view a PDF of all comments submitted in the survey.